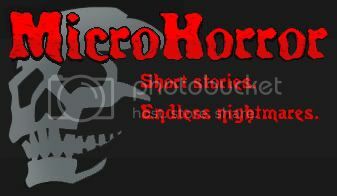 Hermitosis: MicroHorror Featured Pick -- "From Famine To Feast"
MicroHorror Featured Pick -- "From Famine To Feast"
The boy’s face was a thick, fluid rendering of blowflies. 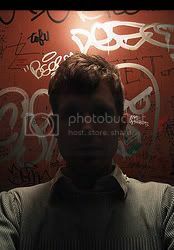 They crusted his eyes like false lashes, and crawled around his chapped, broken lips, their shimmering wings vibrating against their fat black bodies. The boy’s stomach was distended; he looked like a spoon, with the bulging, swooping curve of his gut leading into his rail-thin upper body. His ribs protruded; it was as though he had swallowed a birdcage that was pushing out from within. Father Terence dusted the flies away with a hand soft from hemp balm and decorated with a series of gold rings engraved with brief notes to the Lord. His own arms were husky, with his upper arm drifting fleshily down over his elbow, and his forearms bulging here and there. “It will be all right, my child,” he whispered, waving reverently at the new cloud of flies that had taken up residence upon the famished boy’s face. Father Terence’s forehead creased into sweaty folds as he thought about the tragedy that had befallen his land, his followers. The blight had affected everybody who had ever come under his church roof, and now there was very little food for anybody. Villagers were scratching underneath the bricks of their homes for millipedes and slater bugs, were digging up skinny worms, skewering them on filthy fingernails and wrapping them in dried banana leaves, were drinking from pools milky with disturbed dirt and mosquito larvae. There was nothing to eat, and it was having an effect upon everybody, even the wealthy and the elite in their houses of white blocks of stone and crenulated rooftops. Though, of course, they had not let anybody but the Father know their difficulties. They would come to confession, describing their kidnappings of infants, the stewing, the boiling, the stripping of flesh from the bone. “It will be all right, my child,” he whispered, lifting the boy into his arms. The boy was a dark feather, flyblown and hot from the desert sun. His tiny toes bulged at the ends, like mushrooms. Father Terence carried the boy up the dusty path that led to the church. Inside, the cool, unmoving air of the church, air that had sat there for centuries it seemed, refreshed the boy a little, for he stirred, his vague movement like a small fish slapping against his hunter’s hand. The blight had affected everybody who had ever come under his church roof, and now there was very little food for anybody. And Father Terence had to make do. a simple tale, well told. good on ya.